Homosexuals were once thought of as an unspeakable minority hidden in early film, whose “agenda” was believed to be powerful enough to corrupt even the most pure of heart. In reality, these innocent people were an unrepresented population whose idea of love was seen as sinful by organizations such as the Catholic Legion of Decency. Hollywood was at an age where “threats of an organized boycott of certain films… gave well-organized church-sponsored pro-censorship activists a lot of power” (Lewis 117). One of the ways groups like the Catholic Legion of Decency used this power was to label homosexuals as “sexual deviants,” impossible to be viewed on-screen. The Catholic Legion of Decency became so powerful that it created a set of religion-based guidelines known as the Motion Picture Production Code (also known as the Hays Code). This code was a series of rules and regulations that aimed to keep any hint of “sinful” behavior such as homosexuality out of films and out of the eyes of the general public. Although the Hays Code made it almost impossible for homosexuality to be shown on film, filmmakers were able to hint at it by creating the “sissy,” portraying homosexuals as both villains and victims, and writing between the lines. Homosexuality was always seen as an attack on masculinity and nothing was more threatening to the male ideal then the gay “sissy.” In the time of early cinema, America was in a significant crisis: the Great Depression. During this time, breadwinning men were suddenly out on the streets searching desperately for a job and more women were entering the workforce as their replacements. In a masculine crisis where men “found their gender status, linked to notions of ‘work’ and ‘values’ promulgated by capitalist structures and ideologies, in jeopardy,” a stock character arose (Lugowski 4). This “sissy” or “pansy” was one of Hollywood’s first gay stock characters. These characters were often represented as an “extremely effeminate boulevardier type sporting lipstick, rouge, a trim mustache and hairstyle, and an equally trim suit, incomplete without a boutonniere” (Lugowski 4). They were used mostly to get a quick laugh out of the audience and were usually never depicted with any tangible humanity. It was images like these that cemented the gross stereotypes of gay men that are still seen today. Many still believe that homosexuals are weak-willed, make-up wearing men who society values for nothing more than a cheap joke. Although these stereotypes were harmful to the gay community, at least they were not an overt demonstration of society’s fear and contempt for homosexuals. Due to a new, stricter Motion Picture Production Code, gays were being swept under the rug in movies. In the late 1930s and 1940s the only way to circumvent the code was by painting homosexuals as cold-hearted villains (The Celluloid Closet). Now it appeared that gays were committing terrible crimes because of their sexual orientation, implying that homosexuality leads to insanity. In a society where being homosexual was synonymous with being sinful, it is no surprise that Hollywood made the leap to correlating a homosexual orientation with malicious crimes and wicked urges (Weir). One director that took advantage of the Hays Code’s twisted leniency was none other than the infamous Alfred Hitchcock. The master of suspense frequently used LGBT people as the perpetrators of his on-screen murders. An example of this can be found in his 1948 movie, Rope. On the surface, the film was about two intellectual friends who kill a fellow classmate because they believe themselves to be superior to him. However, it does not take an “intellectual superior” to realize that the two murderers are more than just friends. In fact, these characters were based on “notorious real-life killers Nathan Leopold and Richard Loeb, lovers who kidnapped and killed a boy as an intellectual experiment in staging the perfect crime” (Lewis 262). 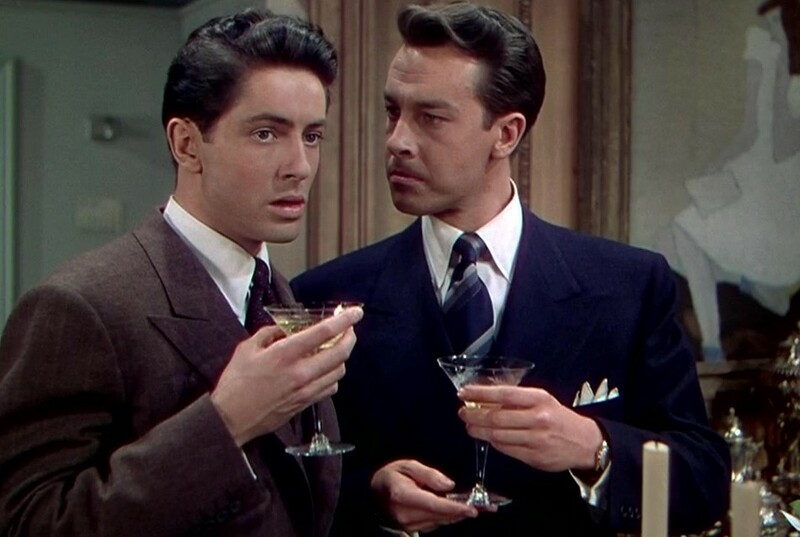 Although their sexuality can only be subtly hinted due to the restrictions of the Hays Code, it is clear that Hitchcock made the effort to emphasis that their homosexual relationship was one of the possible roots of their villainy. The fact that homosexual people are still rendered in this fashion in more recent cinema has proven particularly disturbing due to its harmful effect on the LGBT community. In 1992, a gay rights group called the National Gay and Lesbian Task Force Policy Institute created a survey showing that there was a 31 percent increase in violent acts against gay people from 1991 to 1992, arguing that the increase in violence was partly due to the fact that LGBT people were depicted as villains that needed to be stopped (Weir). Such films include Basic Instinct, The Silence of the Lambs, and J.F.K, which all represent their respective LGBT characters as deranged murders. Whether or not Hollywood understands its influence over the treatment of queer people is up for debate. One thing is certain: representing homosexuality as the cause of malevolent crimes is both wrong and damaging. When homosexuals were not perceived as villains gunning for America’s innocence, they were seen as victims of their own perversion. In the 1950s, homosexuals in film are not much better off – in fact things are worse than ever before. The Motion Picture Production Code now allowed small hints of homosexuality if they supplied comedic relief and if the sexual deviant paid for his crimes. The 1959 movie, Suddenly, Last Summer, perfectly displayed these vindictive feelings towards queer men. In this film, a young girl witnesses the strange death of the son of a wealthy and fiercely protective woman. This movie would not be offensive to the gay community if the plotline was that simple, but a closer look reveals an ugly center. When this film was reviewed, critics applauded the fact that the movie “’expos[ed] clearly the foremost cause of homosexuality: a mother’s emasculation of her son” (Noriega 29). This only perpetuated another nasty gay stereotype, that queer men were sissy “mama’s boys.” Fortunately, in today’s modern society, it is understood by most that a mother’s closeness with her son has nothing to do with his sexual orientation. However, this was clearly not the case back then. Even worse than furthering a stereotype, the reviewers for Suddenly, Last Summer thought that the violent murder of this young man was “‘one of the horrible fates that can overtake a particular kind of sexual pervert’” (Noriega 29). In other words, it was popular belief that if the victim was gay, then he deserved his cruel demise. Although finding positive depictions of homosexuals is harder to find than dead queers, some writers made these progressive ideas accessible if one was able to read between the lines. Even though gays were wrongly represented in American cinema in the form of stereotypes as victims and villains, there was still hope for homosexuals in the Motion Picture Production Code era, but only if they looked hard enough. Gore Vidal, a well-known screenwriter, was able to use this technique of writing between the lines in several movies, including the magnificent 1950s blockbuster, Ben-Hur. 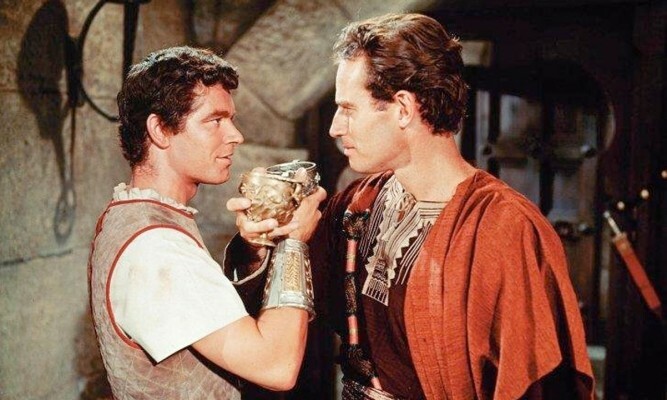 In the eye-opening documentary, The Celluloid Closet, Vidal reveals in an interview that it was meant to be implied that the hero Ben-Hur and the villain Messala were not only friends in the past, but lovers as well. He also clarified that in the scene where they reunite for the first time in years, Messala wanted to restart their sexual relationship. Vidal says that at first the director was against this wildly liberal idea, but then Vidal explained to him “I’ll never use the word. There will be nothing overt but it will be perfectly clear that Messala is in love with Ben-Hur” (The Celluloid Closet). 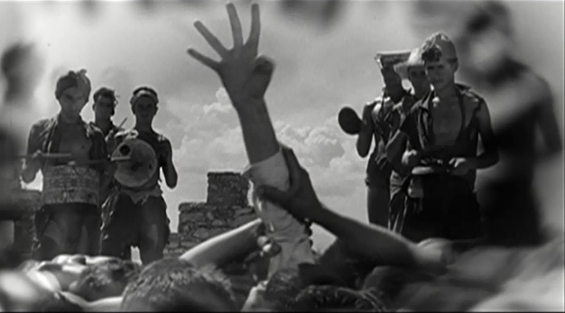 The movie and its actors succeeded in covertly showing this romantic and sexual bond between the two characters in a way that would not be fully understood by mainstream audiences or the Production Code Administration, therefore making it possible for an award-winning biblically themed film in the 1950s to feature characters that have been in a homosexual relationship with each other. Clearly there were some productive and unproductive ways of circumventing the Motion Picture Production Code. It is unfortunate that people back then did not realize that being gay was not something that needed to be hidden behind the curtain. Luckily, there is hope for the LGBT community. More and more films are being made that depict homosexuality in an accurate and positive light. The success of movies like Brokeback Mountain, The Imitation Game, and Pride proves that queers have a place in film outside of being a comedic stock character or a ruthless villain. Here’s hoping to a new era where there are popular, mainstream LGBT films that do not paint gays as a victim of their own “sins,” but as a diverse group of individuals whose differences and triumphs should be celebrated and not shunned or ignored. The Celluloid Closet. Dir. Rob Epstein and Jeffrey Friedman. Sony Pictures Classics, 1995. Film. Lewis, Jon. American Film: A History. New York: W. W. Norton & Company, 2008. Print. Lugowski, David M. “Queering the (New) Deal: Lesbian and Gay Representation and the Depression-Era Cultural Politics of Hollywood’s Production Code.” Cinema Journal 38.2 (1999): 3-45. Print. Noriega, Chon. “‘Something’s Missing Here!’: Homosexuality and Film Reviews during the Production Code Era, 1934-1962.” Cinema Journal 30.1 (1990): 20-41. Print. Weir, John. “FILM; Gay-Bashing, Villainy and the Oscars.” New York Times 29 Mar. 1992: n. pag. Print. Tags: April 2015, Mikayla Mislak. Bookmark the permalink.